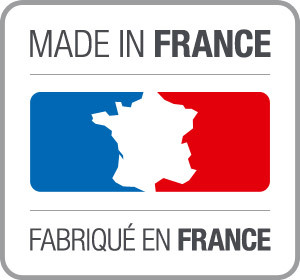 Transistors NOS BC208 gold pins (triés) en boitier céramique TO-106, la version moderne de la Fuzz Face. 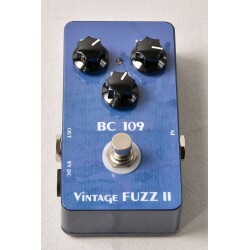 David Gilmour and that early Pink Floyd fuzz tone shines through with the BC 208 version of Vintage Fuzz II. 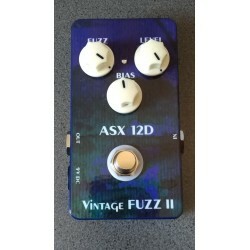 There are other Vintage Fuzz pedals within this collection (the 2 SA 202 and the ASX 12D – both named after the type of transistors used), with the BC 208 being the smoothest of the bunch and using silicon transistors. When using your guitar’s volume knob, and with the BC 208 turned up full, you can achieve tones that range from modestly dirty to fully saturated and sizzling, which is how I like to use this pedal. In other instances, adding the BC 208 with low fuzz and some bias to an already dirty amp tone produces a fuller and more harmonic tone, as though the amp is breaking up (although it may not be turned up that much). The Bias control adds volume when turned counter-clockwise, besides producing more of a rumble, but the effect is not exaggerated and highly usable no matter its position, whether you want more of a rock or a velvety effect. 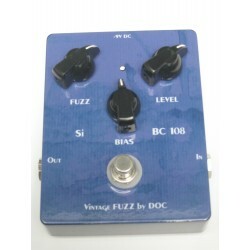 The Vintage Fuzz II (BC 208 model), developed by Doc Music Station (France), produces a range of tones, although it may be best linked to early Pink Floyd’s Live at Pompeii sound. At a price of 159 Euro, Denis (the designer of the Vintage Fuzz II) named this the BC 208 as he integrated NOS BC208 gold pin transistors in ceramic cases, thus making it a modern version of the Fuzz Face. 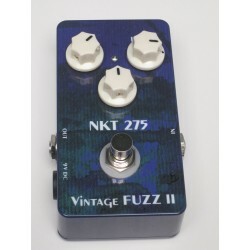 It produces a sound different from the other Vintage Fuzz II pedals in the collection (as compared to the germanium transistors found in the 2 SA 202 and ASX 12D models. An authentic 70s sounding fuzz, the tone is consistent and blossoms very well as you increase the Fuzz level or alter the Bias, thus making it both smooth and edgy, depending on the pedal’s settings. It is very quiet, being housed in an aluminum case that shields the electronic card. 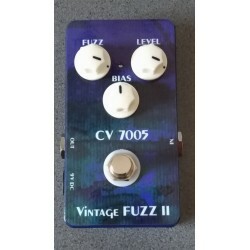 Overall, you get a classic Fuzz Face without any of the quirks found in the old models… hence, vintage tone in a modern build. 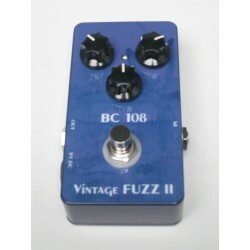 The BC 208 Vintage Fuzz II model allows you to dial into both very smooth and even raunchy tones. 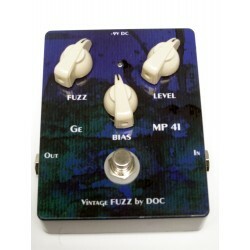 With the Fuzz level all the way up, the tone becomes more saturated and smoother, with a silky or velvety edge provided by the silicon transistors. 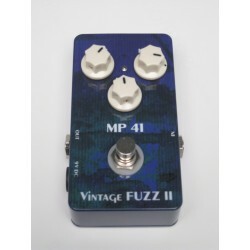 With the Fuzz turned up full, you can achieve several modest to extreme fuzz attacks by adjusting the guitar’s volume knob – which means this pedal cleans up very nicely. 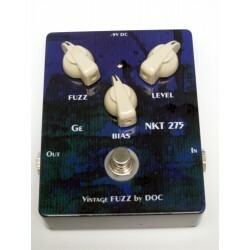 As you dial back the Fuzz level it takes on more of a distorted or over-driven sound that adds well to an already dirty amp or if you simply want a slightly edgy tone without it sounding too fuzz-like. The Bias control can keep your signal velvety or can produce a very good breaking up quality that adds an immense amount of dynamics in the process. Some bias controls on some fuzz pedals produce too much mess or noise, whereas the BC 208 remains rather quiet even when pushing the Fuzz and Bias levels to the fullest. Obviously the Level controls how loud the signal is, but do note that the tone becomes more pronounced when the Level reaches 1-o’clock or beyond. Coordination among those three controls is required, since as the Bias aggression increases, so too does the volume. Likewise, as the Fuzz level increases, so too does the overall volume (although it stabilizes around 1-o’clock). 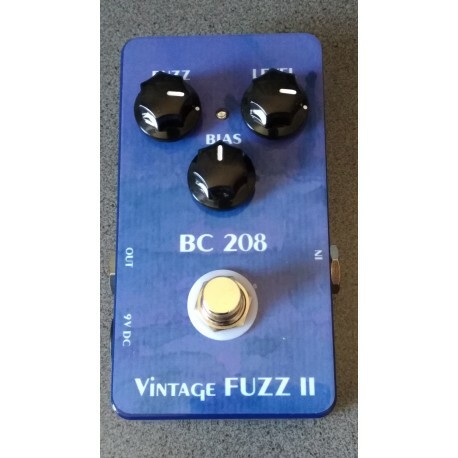 And if you like to use (manipulate) the BC 208 by adjusting your guitar’s volume knob, then the coordinating factor among the Fuzz, Bias and Level will need to be compensated or adjusted appropriately. All this may seem a bit finicky, but it takes a matter of a few minutes to dial in some great tones and to achieve a harmonious balance. Measuring in at 113 x 67 mm (about 4.25 x 2.25 inches) and weighing 230g (8oz), the Hammond 1590B aluminum case that enshrines the Vintage Fuzz II (BC 208) provides shielding of the electronic card and is light-weight. The plastic knobs are of good quality, and when turned the pots feel both smooth and solid in quality. The audio components comprise of carbon resistors, Panasonic capacitors, and the Vintage Fuzz is protected against over-voltage and reverse polarity. 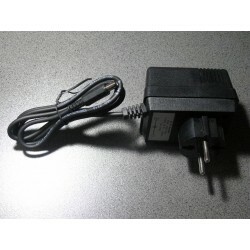 The cable input/output both are located on the sides, as well as the power supply insert (standard 9v 2.1 mm), and so there is minor concern with stomping and possibly striking any of the inputs/output (do not play when drunk is a good rule to follow). This true bypass pedal also has Neutrik jacks and Alpha 16mm faders for the Gain, Volume and Tone pots. The footswitch is somewhat close to the Bias knob, but that knob is of a good quality, and so any slight stomping strain on the Bias knob should not pose any concern. The LED on/off light is small and well protected by the three knobs. 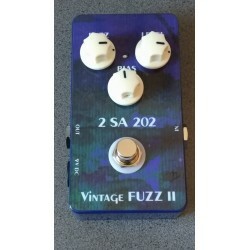 Beautiful 70's fuzz sound (quite close to the 'live at Pompeii' sound). 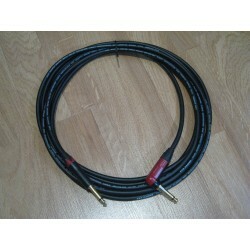 The sound is consistent, so no surprises when you use it in an other room or on an outdoor stage. 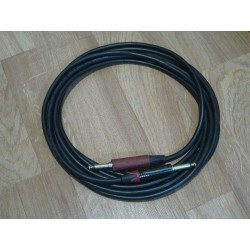 Can sound very smooth or very nasty, as you wish! 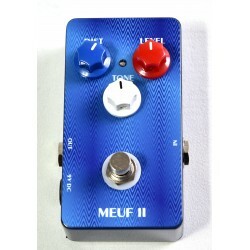 Very well isolated casing, which reduces the hissing a lot compared other fuzzes I own. The best of the 70's without the little unconvinces sometimes found on those fuzzes. The guy clearly knows what he does, for our greatest joy! 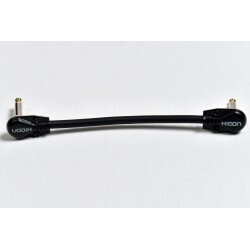 And, I never had so much quality for such a low price, which is nice too!